Imagine this gorgeous creation on your daughter, granddaughter or god child for her baptism or christening. 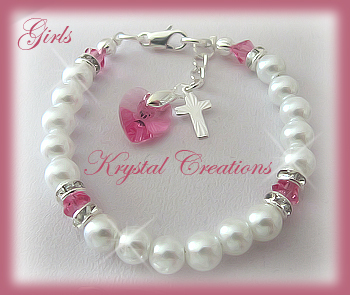 It is white pearl beads with an intermittent baby pink glass bead and a heart and cross charm to finish it off. What a beautiful and affordable gift.